This week I’ll be reading two novels in two of my favorite genres. 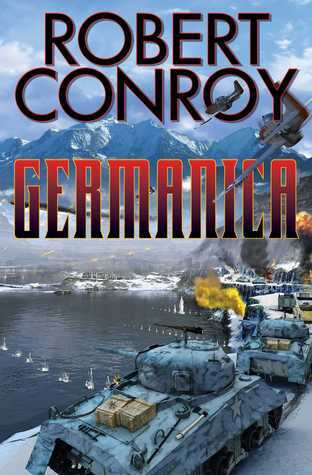 Best-selling alternate history master Robert Conroy returns to World War II, this time for a dangerous last stand of the Nazis in the heart of the Alps. Deep in the heart of Europe’s Alps in the redoubt called Germanica, Nazi propaganda master Josef Goebbels and a battalion of Nazi zealots hold out against a frantic final Allied push to end World War II. With Churchill losing his election, De Gaulle consolidating his rule over a newly liberated France, and Stalin asserting his own nefarious land-grab in Eastern Germany, only America, led by its untried new president Harry Truman, remains to face the toughest of Nazi warriors as they hunker down for a bitter fight to the last man. But there are Americans and a few stalwart Europeans just as determined to put a final stake in the Nazi heart. It is now up to heroes in the making such as newly minted O.S.S. operative Ernie Janek, commando Captain Scott Tanner, and formerly enslaved Czech “Jew” Lena Bobek, to bring down the dark Nazi menace growing like a cancer in the mountainous heart of the continent . . .
Robert Conroy was a best selling author of alternate history novels. His 1942, which is set within a Japanese conquest of Hawaii, won the prestigious Sidewise Award for alternate histories. After taking early retirement from automotive management, Conroy decided to combine his loves of history and writing. After discovering that Kaiser Wilhelm had plans to invade the U.S., he wrote his first alternate history, 1901 in which the invasion took place. He found alternate history fascinating and the possibilities never-ending. He also wrote for Military History Magazine. Conroy had a MBA, was a US Army Veteran and was a retired instructor at Macomb Community College. He had a married daughter and two grandsons. He lived in southeastern Michigan with his wife of forty-plus years. He passed away in December 2014 from Cancer. The pall that had descended over the North is gone, and a new day has dawned on a victorious Mithral Hall, but no matter how bright things seem on the surface, Drizzt and his companions know that what lurks just under their feet remains steeped in evil and charged with unimaginable power. 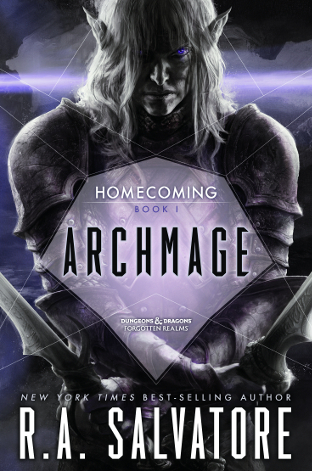 Archmage has everything Drizzt’s fans crave: action, adventure, characters that resonate with equal measures of warrior spirit and deep compassion, and no shortage of wicked dark elves! When he isn’t writing, Salvatore chases after his three Japanese Chins, takes long walks, hits the gym, and coaches/plays on a fun-league softball team that includes most of his family. His gaming group still meets on Sundays to play. 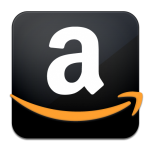 This entry was posted in Funday Monday and tagged Archmage, Drizzt Do'Urden, Forgotten Realms, Funday Monday, Germanica, Homecoming Book 1, Legends of Drizzt, R. A. Salvatore, Robert Conroy. Bookmark the permalink. I hadn’t heard of Conroy’s death. So sorry to hear that. I hadn’t either until doing this post. Very sad for his family and all his fans.